On Instagram, you can take a simple photo (or video), add a filter, write a description, maybe use a hashtag or two, tag it to an optional location and be done with it. Most seasoned Instagram users and even Instagram beginners are well aware of the basics. But those who spend a lot of time browsing through the app and follow a lot of popular users may have noticed certain posting habits trends that are turning out to be quite popular with more than just a few users. Some of the bigger trends involve the use of additional third-party apps to edit or add new things to their photos and videos before they post them on Instagram. Even if a trend is quite clear, going about finding the right app to use to follow that trend isn't always so easy. To help you out, I've made a list below of at least 10 big Instagram posting trends and the corresponding third-party apps you can use to join the fun and get in on those trends too. Post in portrait or landscape orientation. On Instagram, photos or videos you want to post don't need to be cropped and posted in square orientation first. In recent versions of the app, you can actually upload a photo or a video and tap the button with the two arrows in the bottom left to display it in its original portrait or landscape orientation. From there, you can leave it as is or use your fingers to crop it exactly the way you want. It's also not uncommon to come across photos on Instagram that have been cropped first with a third-party app for an artistic effect. Combine photos or videos in a single post to create a framed collage. Even though Instagram now lets you post up to 10 photos and/or videos in a single post, it's still trend to create posts made up of a collection of photos (or videos), framed as a collage. Some feature as few as two photos or videos while others have as many as five, six, seven or even more. It's a handy way to show a collection of related photos or videos in a single post rather than posting them all separately. Add text overlay in different colors and fonts. You can certainly write out everything you need to explain in the caption of an Instagram post, but sometimes adding some words or quotes to an actual photo or video using a beautiful font is just so much better. Users can choose from a wide range of text overlay apps to add clearer messages in beautiful fonts to their posts. Repost a photo from another user. 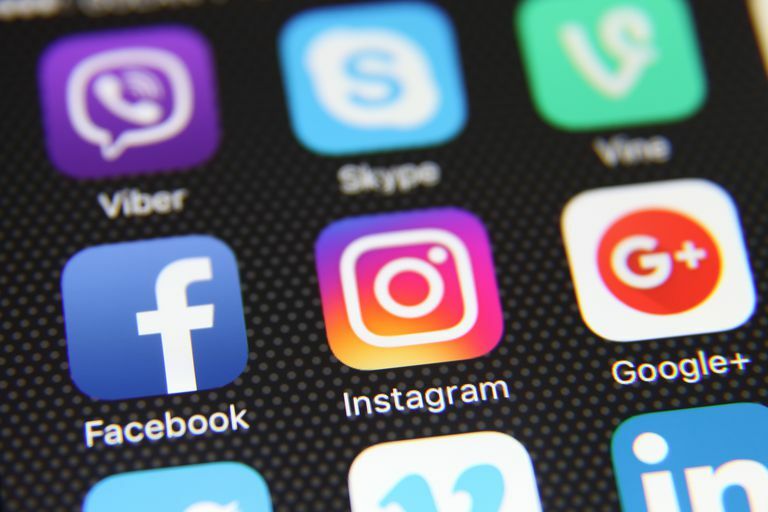 Instagram is one of the few popular social networking apps that actually doesn't have a re-share or repost feature that you can use to post other photos and videos from friends onto your own page. You could take a screenshot of a friend's post and use that, or you could use an app instead. Repost is the popular app for this trend. Create a photo slideshow with music and post it as a video. You've probably seen at least one of those Flipagram slideshow videos posted on Instagram at some point. This app lets you easily add photos from Instagram, Facebook or from your smartphone to put together in a slideshow. Then you can add some music and post it directly to Instagram as a video. It's a fun way to share a collection of photos as a video. Use popular hashtags to get more likes. Power users on Instagram know that adding the right hashtags is the key to getting more likes. But instead of adding them manually every time you make a new post, you can use an app that curates the most popular hashtags and automatically adds them to your posts, maximizing your potential of gaining likes from those hashtags. Create mirrored reflections, blend multiple photos or clone yourself. Adding text overlay in cool fonts or framed collages are big on Instagram, but if you follow some of the pros, you've probably seem some other things—like trippy reflection effects, blended images and multiple clones of the same person in one photo. These types of effects look complicated, but with the right app, they're are pretty easy to do. Add shapes, patterns and other graphic design effects. People don't just share simple photos on Instagram anymore. These days, you'll find all sorts of posts with different shapes, lines, colors and other effects. If you want to add touches of cool graphic design to make your photos as stunningly gorgeous as possible, there are apps that let you do that fast and easily without any graphic design or complicated Photoshopping skills needed. Speed up your video to make it a time lapse. Instagram video posts are limited to a maximum of just 15 seconds. To fit a whole lot more video into such a short time length, speeding up the video to create artsy time lapses have become a big trend. Instagram actually released its own time lapse app in 2014, called Hyperlapse, but there are lots of other apps out there that let you create the same effect. Professionally edit photos with music, transitions and other effects. Video on Instagram now encompasses more than just posting casual uncut clips of your surroundings. Users are posting videos that help, teach and inform their followers about something. Some even use it to sell products or services. To do that, professional editing is often involved. There are all sorts of apps you can try out, and the best one will depend on the type of video effects you really want.